The book reflects upon, delves into and contests the idea of ‘Kashmiriyat’. 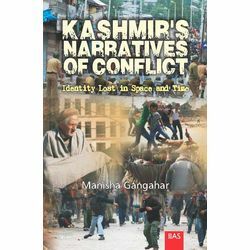 It seeks to find the ambiguity regarding Kashmiri identity and explore how ordinary Kashmiris negotiate spaces in their lives—political, regional and religious—particularly since Kashmir became a disputed territory and a conflict zone. The aim is to get a grip on whether normal day-to-day reporting, literary writings and cinematic productions carry with them an understated or underlying sense of betrayal or injustice, anger or simple ill-will or prejudices; and, how all these permeate into the region’s conscience unknowingly.